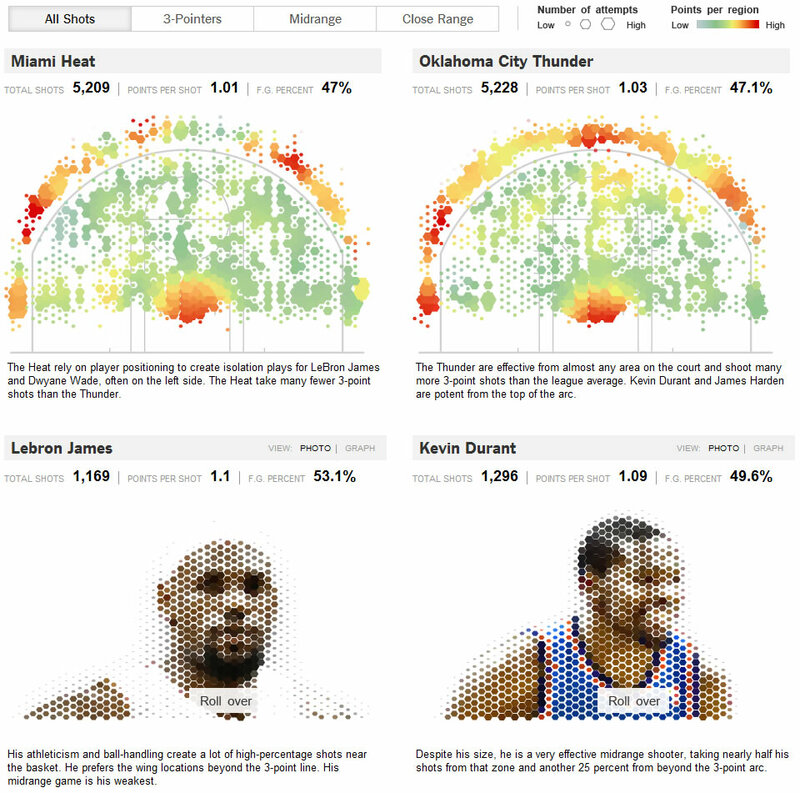 Congratulations to my old adviser at Michigan State University, Kirk Goldsberry, for his clever and beautiful spatial analysis of NBA player performance! His work has recently been showcased in the New York Times, and is an excellent example of the broad value of visualization and spatial understanding. Location is location, and Goldsberry's focus on the court as just another spatial domain has opened a lot of eyes to the capabilities of geographic/geometric thought and he's done it in style! 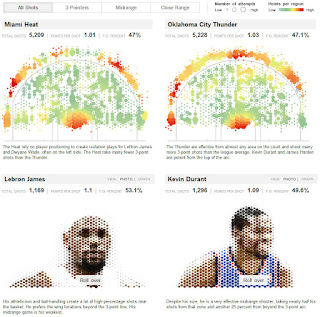 Check out this analysis of shooting patterns of players in this year's NBA finals, and go full-on geek diving into this article Goldsberry submitted to the Sloan Sports Conference on the utility and value of spatial analytics in sport. source: Kirk Goldsberry via the New York Times.